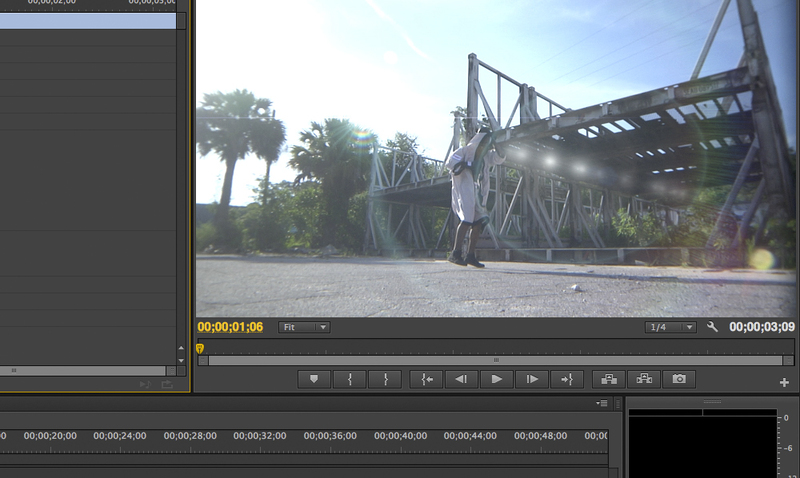 Currently, in the world of video editing it’s almost impossible to not need some sort of effects plug-in. It’s just what everyone wants. Sure, it may be against your personal taste or style, but if you are doing this for hire chances are you are going to run into the need for effects. There are multiple choices on the market as far as plug-ins go and they range from high quality (with the skill level and price tag to match) to poor and low-end. Some people can’t tell the difference, some have a keen eye for what passes as quality. The other thing to watch out for is, what is the motivation for your effects? Are they there to help the story? Do the effects really add anything to the message? Or, are they there just because they look cool. 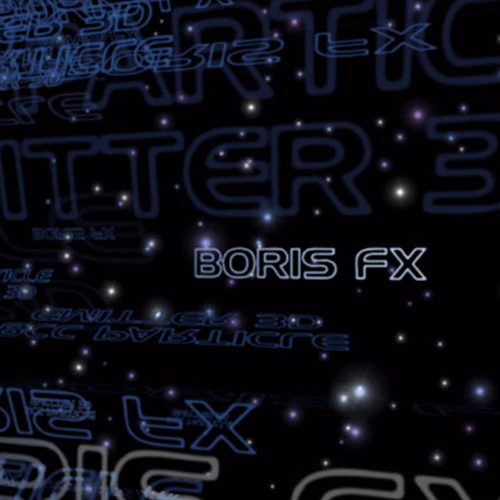 With all my personal views on effects out in the open, let’s check out the latest offering from Boris FX. “Continuum Complete V8” is a very powerful tool with an overwhelming amount of options. I mean overwhelming in the most complimentary way. As you will read in this review, Boris FX gives you a vast amount of control for your effects needs. Once downloaded, the installation process was painless. The plug-ins immediately showed up in my Adobe software. This product is offered for Avid, Adobe, Final Cut and even Sony editors. 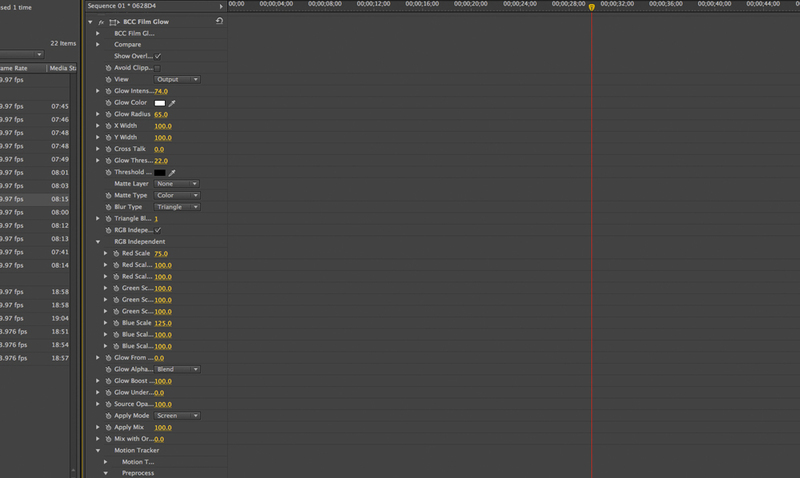 I’m reviewing the Adobe AE version which also sets itself up in Premiere. Which is a much loved option to me! Even though the integration between Premiere and After Effects is top notch, having the ability to have a slew of effects and filters available in program is a time saver. I will say that some of the effects are probably better handled in After Effects, but if you need something quick that Premiere can tackle with the help of Boris FX (like the film glow effect) why not keep it all in one program? If it works, use it. I found myself testing some of these effects directly in Premiere and they worked great! Once installed, the slew of effects choices appear in your video effects folder. I mentioned the word “overwhelming” earlier. The amount of control is amazing, so much so it’s overwhelming. I wouldn’t have it any other way. Once applied, you have the ability to control just about every aspect of the desired effect. In your final output, you can say that even though you used a plug-in, your effect is unique to your project. The amount of control given for each effect is amazing! First off, let me get something off my chest about effects and plug-ins. One of my pet peeves, and the first thing that tells me an effect is crap, is how the original image and effect are blended. 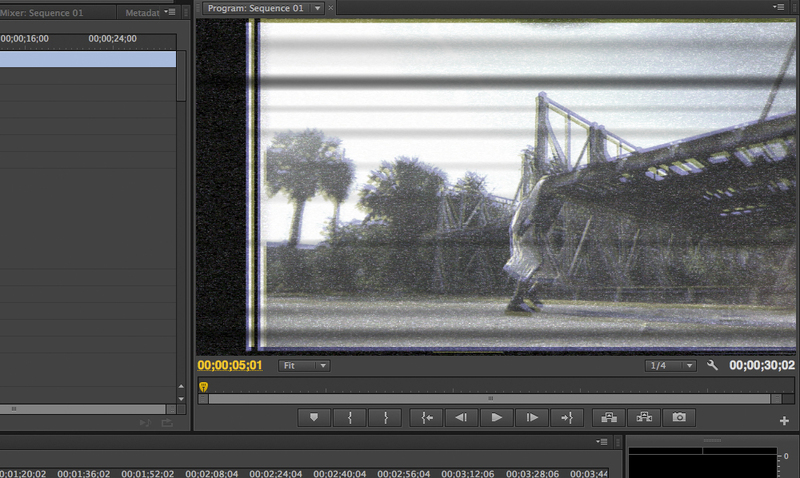 Usually “analog transmission” or ”film style effects” look like a filter placed on top of the original image. I can’t stand this look, it looks false and it’s ineffective. Thankfully, Continuum Complete doesn’t fall into that trap. The “transmission” and “film” effects are the first options I looked into, I knew I could tell a lot about the plug-in’s quality just by judging the amount of effort that went into designing these effects. You will find the desired effect and the original image are integrated into a new image, All I can say is it’s convincing and of high quality. Finally, an easy to use “transmission” filter. Looks good and realistic! There are many type of film damage, grain and tints to choose from. “Film” and “analog” effects are not the only options offered, all in all you will find over 200 other effects and filters. That is a great deal of product to cover in one review, so since I’ve covered my usual pet peeve effects (which was passed with flying colors), let’s move on to the new stuff Boris is touting with the release of V8. Film Glow – This is a pretty effective offering; I do think this is one of those that will be overused in the video production industry. It will probably be used for wedding videos (which always “sell the fantasy”). In my use, I have found this filter very nice, but at a minimal amount-just enough to give it some halo/glow but not too much. The Film Glow effect blows out your lighter colors, amount of glow is your choice. Flicker Fixer –Now and then you might receive some footage from someone who didn’t have any knowledge on the camera they were using. If you run into a flickering issue, this should be very helpful to you. I didn’t have any footage to use this filter with, but I did research of people who did and it came across very favorably. 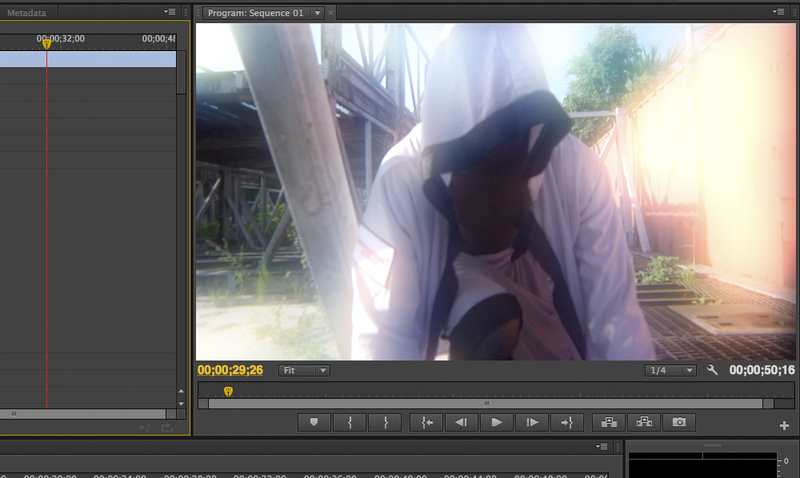 3D Lens Flare – In my opinion very few digital lens flares look right or real. I’m not sure what it is, but they always come across as off to me. The flares in this program look fine, they are not low-end by any means, but something still feels off. That’s my personal opinion of flares in general though and not a knock on these particular effects. 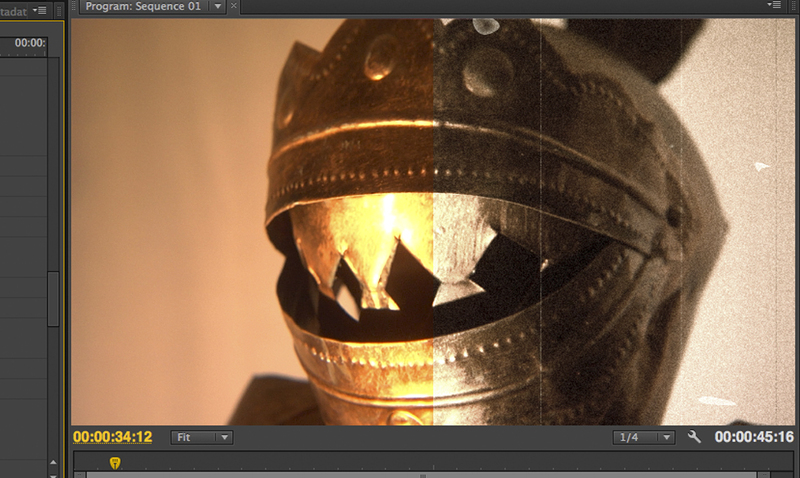 I think that with some tinkering and some time you can achieve a quality flare effect with this plug-in. The 3D lens flare brings a more “real” feel to the light reflection. 3D Particle Emitter – Shattering! Exploding! Sparking! Whether you’re looking for use with text or just particle effects in general it’s a fun option. Finding the proper level of amounts is the key with this. They do tend to have a false/digital feel, but after all they are digital effects. So what do you want? Organic Strands – Pretty cool offering that I am going to spend a lot more time with myself. Looks to be able to create convincing light streaks, again the perfect amount of control will be needed to make the light look more real and less digital. Wild Cards – This will definitely see a lot of use in the local/regional commercial market. Set up in 2D or 3D space you can create “cards” with video images and are given the ability to control movement and speed. With all these effects, even with the most convincing ones it is up to the user not to overuse and abuse them. In my opinion too much is too much, a visually pleasing effect can turn into a mess quickly if the user doesn’t have restraint. While I haven’t tried every single effect in the Continuum arsenal, I can say my 2 year old Mac Pro didn’t have any hang ups while in use. With that said, some lower-end or older systems may have issue with some of the more complex plug-ins (most notably, older video cards that are no longer up to par). This is the first time I have ever used a Boris product, but while doing research I did find mention of one issue that should be noted. If you are running a previous version of Continuum uninstall it before installing V8. It may create an issue that will cause your editing software to crash. Boris has noted that they do not consider uninstalling the previous version or versions “necessary” but that an uninstaller is automatically provided. Overall, the performance of the software is great. But it does rely on your system’s power to achieve that greatness. At $995, you really have to decide how viable this product is to your needs. I can say that it offers some great effects in comparison to other similarly priced options out there. If you’re an After Effects whiz, you probably could create some similar type effects without need of plug-ins, but not every editor is a visual effects creator. Even those with After Effects knowledge will find Continuum to be a huge time saver. I would say if you can justify the cost in your workload, it’s a good choice. In today’s market, these effects are desired and you will make good use of them. If you’re a professional editor working in the video production industry, it won’t take long for this to pay for itself. If I had my way, some of the lower-end “get the job done” flashy effects you see glittering the TV screen on a regular basis would be abolished. But that’s not going to happen anytime soon, so what is the next best thing I could hope for? Plain and simple: better quality effects. I guess that would be my biggest problem with the current digital age, is the quality of effects. You can’t expect everyone to be an After Effects whiz, but you would think someone who is spending time creating a product would have a sense of quality control. If you think that, you would be wrong. What is offered with Continuum Complete is a package full of quality effects with a vast amount of options. Hopefully, the quality shown in this package is the quality we can start to expect in the use of the effects in general. Craig McDaniel has worked in the entertainment industry for over a decade. Serving in art department, project management, graphic design, screenwriting and directing etc. His work has carried him to the cities of Orlando, Los Angeles and Atlanta. Craig’s resume includes projects with CBS, MTV, VH1, SyFy, Turner Broadcasting, Victoria’s Secret, Coca-Cola and many more. Currently he resides in the St. Augustine Florida area and were he produces and directs local/regional media product, as well as drinking too much red wine.